Renee Zellweger Sighting!. Once you've watched the movie about a thousand times, you learn to spot Renee Zellweger in her early days. 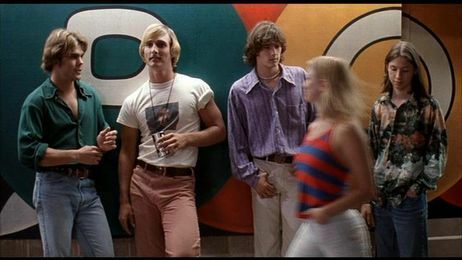 She appears in the background of a lot of scenes.. Wallpaper and background images in the Dazed and Confused club tagged: dazed and confused image picture still don wooderson pink mitch renee zellweger.